Water damage in homes: It’s way more common than you think. This past winter, many of our service calls were about water damages homeowners faced in the Chicagoland area. 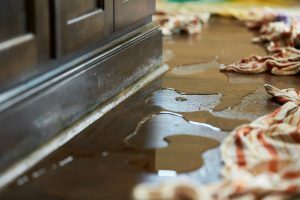 Here at ServiceMaster Restoration by Simons, we know that water damage in your place of residence can be financially and emotionally devastating. Repairing water-damaged walls and floors is often a very expensive task. In fact, Water damage and freezing issues were the second most common reason for a homeowner’s insurance claim between 2013 and 2017 with an average payout per claim of $10,234. Water damage is often caused by plumbing issues, which is why it’s so important to make sure your plumbing systems are inspected annually to ensure there aren’t any unforeseen problems. It’s good to note that plumbing pipes have a long lifespan: Brass pipes can last for as many as 70 years while copper pipes can last for more than 50 years. The average lifespan for galvanized steel pipes is often between 20 and 50 years. Check your home inspection report or consult a licensed plumber to learn about the lifespan of the plumbing pipes in your home. Improperly maintained pipes are a huge cause of water damage, so you need to make sure you stay on top of pipe replacement and repair as necessary. If your water bill is unusually high, that might be an indication of an undetected leak. Buying a water leak sensor that sends alerts to your phone is one way to safeguard your home from free-flowing, continuous leaks. You should also check around your toilets, tubs, showers and sinks for any soft spots or moisture.If you have a dishwasher or a refrigerator with a water line, look for warped or discolored floorboards. Unless you’re doing laundry, you probably don’t think twice about your washing machine…until it breaks down and causes catastrophic damage. Washing machines are another major culprit of water damages in Chicagoland homes. In fact, if the supply hose is damaged or has a faulty connection to the wall or washing machine, more than 600 gallons of water could spill out within an hour. That could lead to significant water damage, especially if your washing machine is located on the second floor of your home. To prevent water damage, it’s a good idea to replace your washing machine supply hose at least once every five years. Make sure you are not overloading your washing machine since stuffing too many clothes into it could loosen gaskets and valves, or cause cracks. During severely cold winters (like the one we just had — good riddance! ), pipes are at risk of freezing, which can cause bursts, leaks and thousands of dollars worth of water damages. Now that it’s Spring, it’s the perfect time to begin preparing for the freezing temperatures we’ll face next winter. Be sure to protect your pipes before it is too late: Insulate both hot and cold water pipes using heat tape or pipe sleeves available in your home improvement store. Once winter arrives again, keep your garage door closed as often as possible if you have water supply lines in your garage. Open kitchen and bathroom cabinet doors to allow warmer air to circulate. If you plan to travel and spend significant time away from your home, leave the heat on. And, for more information on preventing pipe freezing, check out our recent blog. Many homeowners take their hot water for granted, and don’t think about its source. But your water heater indeed deserves some love, especially since it has a shelf life that you need to pay close attention to if you want to prevent water damage. Oftentimes, you should replace a water heater every 10 years (20 years for tankless water heaters) to avoid water damage. We always recommend that customers prioritize regular water heater maintenance and replacement instead of simply waiting to replace the water heater until it starts leaking and causing damages. You can determine how much longer you can go without replacing the water heater by looking up the serial number on the manufacturer’s sticker near the top of the water heater. Additionally, make sure to regularly inspect your water heater to check for signs of moisture build-up, mold or corrosion. If your water isn’t as hot as it used to be or there’s rust coming from your faucets, it’s a good idea to call a plumber or water heater specialist. Weather is one of the biggest causes of water damage to Chicagoland homes. Aside from freezing temperatures causing pipe bursts and leaks, freezing temperatures can also bring large amounts of snow. If your home is not weatherproof, a bad snowstorm can damage your roof, walls and ceiling. And heavy springtime rain and melting snow are the number one culprits of major home flooding. Make sure your home is ready for inclement weather by ensuring that your rain gutters and downspouts are clean. You should also check doors and windows to ensure that your caulking hasn’t cracked. Additionally, make sure your attic is insulated to prevent the formation of ice dams on the roof. Annual roof inspections are recommended to ensure your roof’s condition won’t lead to water damage.